A tribute to keyboardist and composer Alan Gowen, including his work with National Health, Soft Heap, Soft Head, various Gilgamesh lineups and collaborations with Hugh Hopper and others. Also, more orchestrated Kevin Ayers live from '72, more Gong live in the Canterbury area in summer 2000, Caravan trying out a new tune on BBC radio in late '68, another recently surfaced audience recording of Soft Machine on the '68 tour of the USA, Robert Wyatt discussing one of the tracks from 1997's Shleep, and evidence of a significant Soft Machine influence on the early Henry Cow. 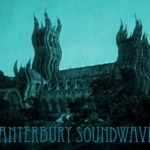 For more info and archived earlier episodes, see http://canterburysoundwaves.blogspot.com.